Costa Rica, Guatemala, Mexico, Colombia, Brazil, India and Indonesia are the homes of this year’s winners of the Nespresso AAA Farmers and Agronomists Award that distinguishes incredible coffee farmers and the Nespresso agronomists that support them in the field. 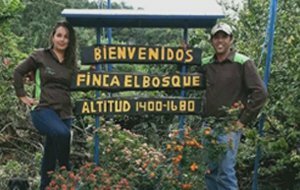 We honor their work by celebrating their dedication to the coffee industry, the adoption of sustainable coffee practices in their farms and their commitment to their communities. This year, the Award ceremony will take place in Switzerland where the winners will get the opportunity to see first-hand the impact of their work by visiting a Nespresso Production Center and tasting their coffee after being roasted! After all, they have only known their coffee as a coffee cherry! Do you want to know more? Stay tuned! Get to know our farmers and agronomists on Wednesday 7th of November and join us in celebrating their achievements.